The orange peel contains a substance called limonene. This substance will get you rid of mosquitoes, and not only. The essential oil found in orange peel contains almost 95% limonene, a substance that is used in plastic manufacture and citrus-flavored homemade detergents, making it very useful in household chores. 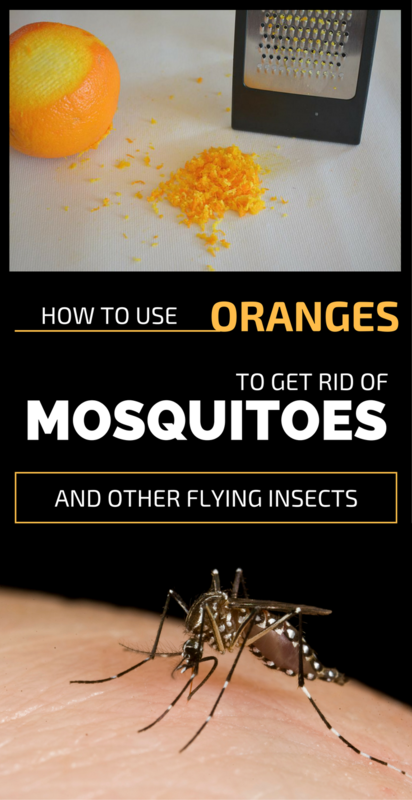 To get rid of flies, moths and mosquitoes just grate some orange peel and put it on coffee plates in the areas where mosquitoes, and the other little insects, enter the house. Flies, mosquitoes and other flying insects are very sensitive to the smell of limonene, which sends them away. You’ve probably noticed that many repellent products (for burning sockets, etc.) have citrus flavor. Not even ants love limonene. To get rid of ants in the house, just mix some orange peel with a cup of water in a blender and pour the mixture over the anthill or sprinkle grated orange near the door-step, to stop ants from entering the house.